Dyslexics quite often receive help only after it is too late. Finally, researchers are working on early recognition of the reading and writing disorder - and are counting on a mixture of psychological tests and high-tech instruments. The elementary-school years got off to a shaky start for René: he had difficulty with concentration, and writing was a struggle for him early on. In his first year in school, he was transferred to a special-education class and finally received, painstakingly acquired, his recommendation to enter secondary school. It was not until the seventh form that he was diagnosed with dyslexia. Ever since then he has progressed slowly uphill – also thanks to targeted support, his writing skills have improved, and learning is even fun for him again. In the eyes of the German Association for Dyslexia and Dyscalculia, René is a classic case. Using his case as an example, the Association is illustrating his problem that causes so much trouble for so many affected parties – a reading and writing deficiency (dyslexia) is often times recognised too late. Just like René, the children have to therefore spend unnecessary time wrestling with language and letters before they can begin therapy. How dyslexia can be recognised early on, what exactly does it bring about and what can best help the affected individuals – these are issues that research scientists are currently – vigorously – addressing. 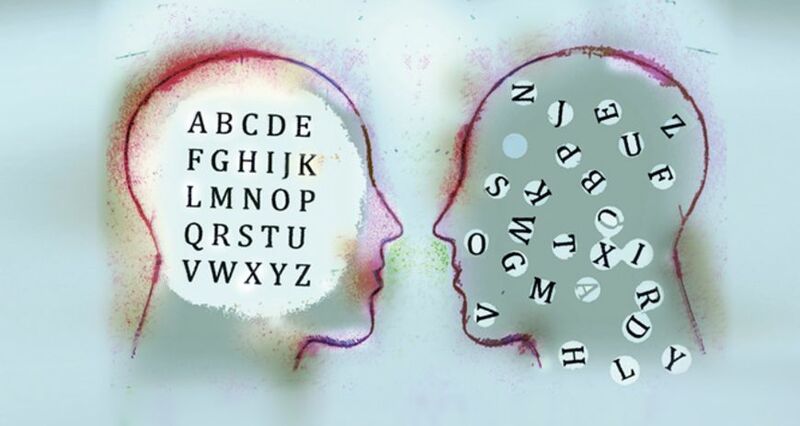 There are many disorders that can lead to dyslexia: First, the individuals involved frequently have difficulties in recognising the words and the position of the letters. As well, the auditory perception is often times a problem – properly perceiving the sounds, differentiating them from one another, and then allocating the appropriate letters. For the school career, dyslexia can have in that regard far-reaching consequences. Because the children are only able to write and read with difficulty, foreign languages and many other subjects in which it is important to process information from texts present challenges – and even mathematics becomes a hurdle due to the text assignments. According to the latest scientific findings, it appears that early recognition is possible – that would be a significant improvement for the affected parties. “Currently in the first two years of school, reading and writing diagnostics are for the most part still not being carried out”, says Stefan Heim. The psychologist works at the Forschungszentrum Jülich and at the university hospital of the RWTH (Rhine-Westphalia Technical University) in Aachen. “Dyslexia is typically not diagnosed until the third form – but the goal should be to identify children with reading-writing disorders prior to school enrolment, in order to then provide them with specific support.” For this purpose, researchers have developed in past years psychological tests with which conscious interaction with sounds, sentence comprehension and memory can be examined a few months prior to school enrolment. 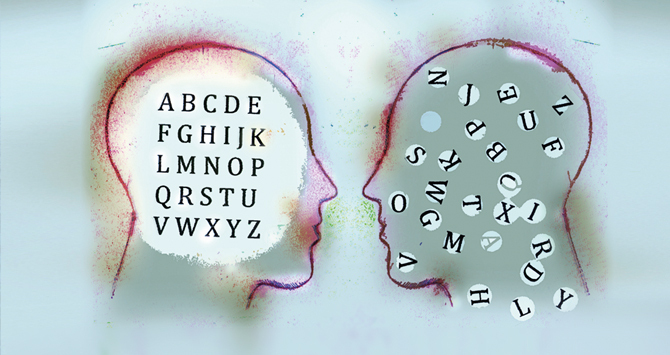 Such tests are one option that scientists are using to untangle the complexities of dyslexia. Another option is offered by imaging methods, with which researchers can gain insights into the workings of the brain: with functional Magnetic Resonance Imaging (fMRI), Diffusion Tensor Imaging (DTI) and electroencephalography (EEG) they can understand how active different brain areas are. They are still not able to predict how individual children are likely to develop, admits Helmholtz research scientist Stefan Heim – that could however be quite possible soon. Using high-tech instruments, the research scientists examine what happens in the brain while reading and writing. They have, in the process, discovered an entire reading network that combines different areas with one another. For healthy test subjects, the left brain hemisphere is highly active while reading – in images of their brains, the lower frontal lobes, the upper and central temporal lobes and the region between the temporal lobe and the parietal lobe light up. When children are learning to read, the so-called ‘visual word-form area’ develops a remarkable amount of activity – it is found in the left cerebral hemisphere between the temporal lobes and the occipital lobe. It is a big challenge now to find effective therapy for affected children. The problem lies in the fact that the clinical picture is so differentiated. Different difficulties appear for each child, says researcher Stefan Heim. Does the child have problems in recognising the connection between words and sounds, or in breaking down words into their individual sound components – or does he have difficulties in recognising the written word? “Then we can apply training that will specifically rectify this weakness”, says Heim. That early diagnosis together with specific training could be decidedly effective is something also assumed by the Zurich researcher Silvia Brem. For children who suffered from a reading and writing disorder during school years, parts of the right brain hemisphere were particularly active during pre-school age – she was able to show this in a study. These areas usually do not react to linguistic stimuli; rather, they are responsible for facial recognition. Brem and her colleagues therefore suspect that dyslexics follow another strategy while decoding words; they possibly view the word as a complete image instead of recognising the sounds. This is precisely where therapy could be implemented. The team under Silvia Brem was quite successful with the computer-game Graphogame, developed by Finnish research scientists. This involves the children guiding their playing piece through a virtual landscape, opening treasure chests and solving puzzles. At certain positions, they have to match sounds with the respective letters – only then are they able to move up a level. With this game, Brem was able to prove that children already recognise printed words before they can decipher them. In her study she had kindergarten children practice, for eight weeks, the connection between written symbols and their corresponding sounds. The effect was remarkable – even though the children only practiced for a total of less than four hours, those regions of the brain that are also responsible for reading comprehension in adults were markedly more active afterwards. When the brain begins so early on to link letters with the corresponding sounds, this can be used in the treatment of dyslexia.